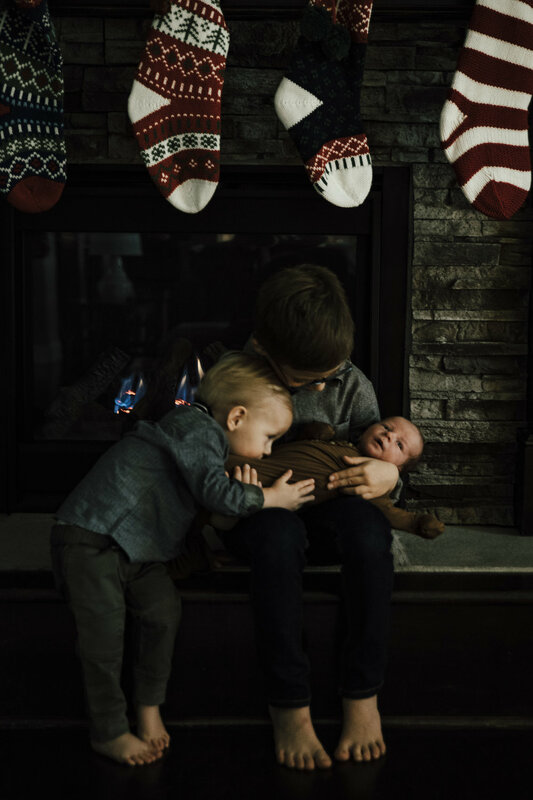 Generally speaking, when someone approaches me about taking newborn photos I send them along to one of my very talented friends who specializes in working with newborns. 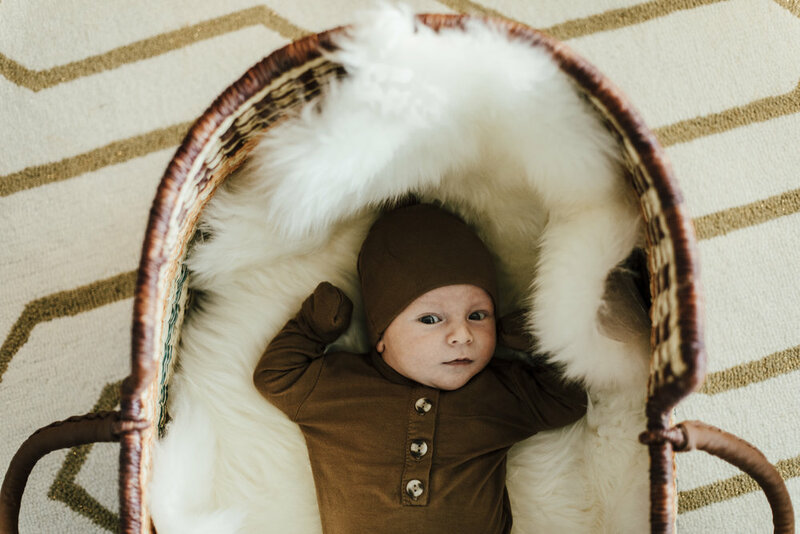 However, when Brooke told me she wanted me to take baby Nash’s newborn photos in a lifestyle family setting I was thrilled! 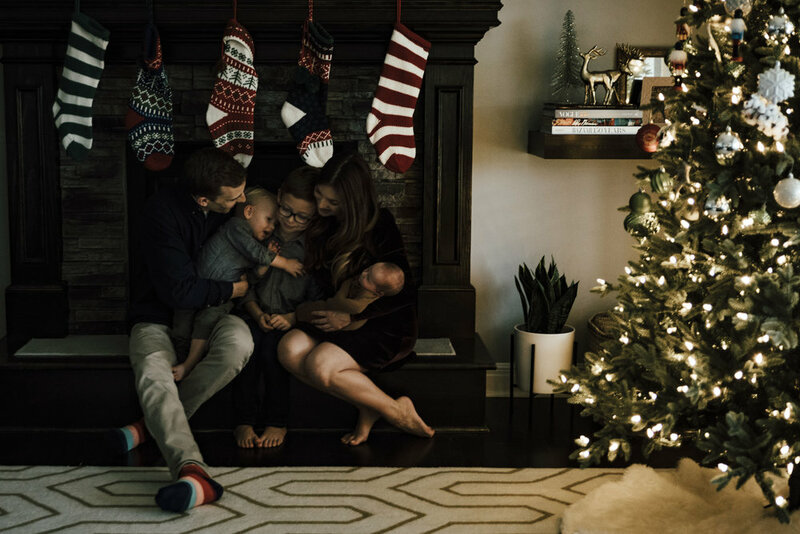 I’ve worked with this family before, and they are a dream to shoot. For one, they look like they could’ve come out of a catalog. All five are super good looking, naturally photogenic, and at ease in front of the camera. They also are super warm, laid back, and always make me feel welcome when I’m working in their home. I’m serious. They’re a total dream! I don’t share lifestyle work a lot anymore, but I just couldn’t resist posting this sweet session. Baby Nash was so timely in making it home just in for the holidays. I think he makes the cutest Baby New Year.